 All jobs processed by Maps Made Easy after February 15, 2016 have the ability to measure 3D volumes. This sample was hand measured using RTK to be roughly 10,000 cubic meters. Try it yourself to see how the tool works. This calculated value is well within 1% of the hand measured and calculated value.  Maps Made Easy allows users to upload images taken from their drone to create high resolution orthophoto maps and 3D models. These models can be used to measure the volume of dirt stock piles, the amount of dirt removed from a hole or check the flatness of an area. Every job with a GSD of less than 2 inch/pixel that is run through Maps Made Easy will have the ability to measure stockpile volumes such as those in the above same from right within the web browser. Maps created with higher than 2 inch/pixel GSD do not have enough accuracy to make accurate 3D measurements. The tool is completely web-based and there is no software to buy or download. Using the Polygon Select Tool (second tool down), the user selects the perimeter of the are area for which they would like to make a volume measurement. This triggers a few different things behind the scenes. First, elevation lookup images that were generated at the time of processing are downloaded. Then we determine a dynamic base surface within the defined polygon. Each pixel in our lookup image has a size of 4in x 4in. For each 4in x 4in sample we get the elevation and subtract off the dynamic base surface's height to give us that sample's volume. This is repeated for every sample that falls within the polygon and the sum of them is the "Calculated Volume". The same process is repeated for the airspace in this volume or the "Void Volume" and is useful for measuring the air volume of a hole or pit. The "Void Volume" is measured downwards from the "Maximum Height". The sum of the "Calculated Volume" and the "Void Volume" is roughly equal to the "Area of Measurement" multiplied by the difference between the "Maximum Height" and the "Base Plane". When you are drawing your polygon, imagine a stretched surface that goes between all those surface points. This is our dynamic base calculation. The volume that is present above this imaginary surface is counted as the volume. For the purposes of calculating the void volume, or volume of a pit, we use an imaginary plane at the highest selected polygon point and calculate the volume of air down to the ground surface. This is intended for drawing around the perimeter of a level surfaced pit. Don't hear any audio... how do I get to this page? There is no audio on this video. This is the standard Map Detail page for any job that is created. When you upload a job using the Camera GPS workflow, you have the option of selection "Enable Web-Based Volume Measurements" at the time of upload. Checking that box lets us know to generate the files needed to do the web-based volume measurements. I selected that option when I uploaded my last job but I do not see the tools that are on the left side of the video - How do i get to that page? The one with the tools? The volume measurement tool is used on the Map Detail page by selecting the polygon tool and drawing an area in which you would like to measure. It will ask you if you want to measure the volume if the capability is available. Chris: All the jobs you have posted except for your first has the volume measurements enabled and they seem to be working fine. If you are not seeing the tools on the left hand side in your Map Detail page, it is likely that you are using Internet Explorer. Internet Explorer doesn't support the latest web standards that we use and a WebKit browser such as Chrome, Firefox or Safari should be used. Yes very Prone to error. My 10,000m3 stockpile shows 15,000m3 in MME !!! Steven: Try it again. We are getting 10,000 m3 on your pile now. We added a dynamic base calculation to account for the slope. I got almost exactly the same volumes using Pix4d. Differences are certainly within any margin of error, and more likely my choice of boundry points. I am actually stunned that they are so close. Pardon a nube question, but how does the volumetrics tool factor for an uneven base? Can it import base maps generated from other survey tools? Depends on your definition of uneven. Thanks Steven - yes all large earth-based stockpiles will have such variations inside the pile as a consequence of weight and weather etc (unless they are sitting on a concrete pad or similar). We have Pix4D, AutoCAD etc. hence the question - I was curious if this online app could cater for these variations. I still think it sounds useful, however probably not for large stockpiles imho. Thanks for the great answer, Steven. There is no reason why large stockpiles would be any different but as Steve mentioned, no software will be able to account for unknown base undulations under the surface of the pile. Hi Ryan - Granted unknown variations cannot be factored however on large stockpiles base undulations are common and form part of the volumetrics survey procedure (usually the base is surveyed every time the stockpile is empty so the data can be imported into the volumetrics app) - We are moving towards UAV photogrammetry / LIDAR so all options are currently under consideration! - and this looks like a great online tool for smaller piles where the base is level or has a constant gradient. I have used the volumetric tool on some shipping containers (know volume) as a test and the result is way off (only about 30% of actual known volume). Any ideas as to why this is happening? This tool appears to be developed primarily for volume measurements, yet you also describe that it can be used to check the flatness of an area. Flatness (and volume to flatness...for fill/removal projects) may be just as powerful and useful. Two questions: (1) are the notations and colors relating to "contoured elevation" determined in relation to a fixed elevation surface across the shape (or trimmed photo) or is it in relation to the 'dynamic base surface' (which sounds like a surface that is based upon an estimated underlying contour using adjacent points, right?). If it is in relation to an estimated contoured base, then how can this tool be used to measure flatness? A smoothed, flat surface (e.g., a construction pad) will show up in the heat map and shape volume measures as the estimated contoured base using various points in the photo, right? (2) Would you consider adding a feature that allows the user to specify a point in the photo that would be a fixed standard base level against which to measure the determined contour elevation (colors and volumetrics) in a selected polygon shape? This would provide a measure of flatness at 0% slope and a measure of removal and/or fill to achieve flatness. Very useful! Has anyone used the volumetric tool in the winter with, for example on a gravel pile, that may have varying depths of snow on it? Just curious how this may affect the accuracy of the total volume? I have created two maps so far with no problems except this: The volume measurement tool works when viewing the map at normal size. But it doesn't work in full screen mode or on the public link. Why? Scott: We replied to your email. This is a bug that was introduced during our conversion to Google Maps and it will be fixed in the next day or so. its quit a big difference and when i add GCP its even worse I am getting 15,000 m3 for the small stockpile and 258,994 m3 for the bigger stockpile, and in elevation mode it just goes black? It is important to use lots of points to define the measurement polygon and to have on a level surface surrounding the pile. Having a surface that isn't flat can be done but you have to do some extra thinking about where to place the points. This is discussed in a few different threads on the forum. Even a small stock pile needs 10-20 points around it to get a repeatable measurement. Adding GCPs won't really affect the volume calculations since it is only really doing an offset correction. Practice until you get the same numbers between the GCP and non-GCP corrected versions. If the colorized elevation layer is coming out black you may have had a GCP or two that was not formatted properly. With the GCP I have to convert them from easting and northing to lat and long as maps made easy dose not except easting and northing or EPSG 27700, would be good if this was possible? when you say lots of points do you mean GCP ?